In 2016 Ohio birder Laura Keene embarked upon a year-long journey with a goal of seeing and photographing as many species of birds in the ABA area as possible. During a year that got completely and utterly out of hand, she shattered the ABA photographed species record with 792 documented species, and was one of four birders to break Neil Hayward’s 2013 ABA record, logging 815 species. 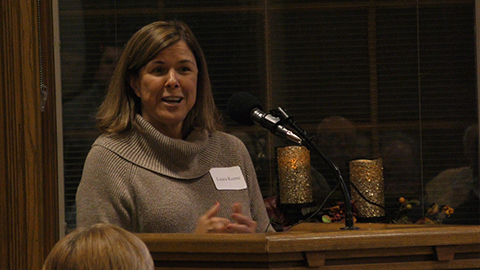 In this presentation Laura shared her motivations for doing a big year, and the adventures involved as she traveled over 200,000 miles, to each corner of the ABA area. She shared the joy of her journeys–the sights, the people, the wildlife–as she lived her Big Year dream, immersed in the healing power of birding. The presentation was held at a banquet for Toledo Naturalists’ Association. It was at Toledo Wildwood Metropark.